Grande Provence is situated in the lush Winelands in of Franschhoek, near Cape Town, and offers a wonderful fusion of the past and present. In the heart of the spectacular Winelands is where you will find the magnificence that is Grande Provence Estate, a gracious wine estate in Franschhoek, combining the elegance of the past with the contemporary luxury of the present. 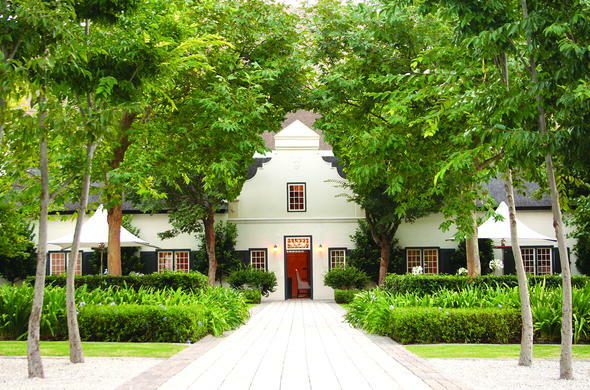 This 17th century Cape Dutch wine estate has been lovingly restored into what it is today, a world class venue offering luxury accommodation, superb cuisine and award-winning wine. A team of experts have brought their fresh vision and contemporary creativity to this historic homestead, bringing in light and space, while still retaining its historical heritage and charm. Surrounded by lots of trees and a sparkling lake, guests at this wine estate in Franschhoek are encouraged to explore the lush area and take in the beauty and tranquility of this serene estate. Children of all ages are welcome at this wine estate in Franschhoek, however, parental supervision is required at all times. Children up to the age of 10 years are welcome to share a room with their parents at no extra charge. Children over the age of 10 are charged the normal rate for the room.